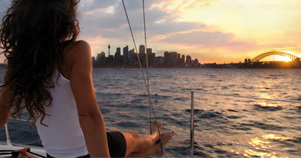 The most beautiful harbour in the world is right on our doorstep, so why not take advantage of it with a yacht charter in Sydney Harbour? 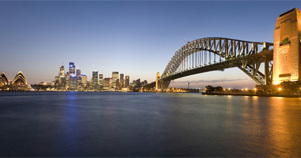 What better way to spend a special day or night, than relaxing in the sun, or by the romantic flicker of Sydney's lights on the water into the evening? 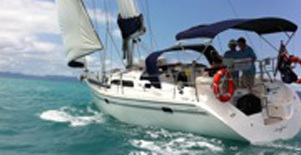 Sailing charters in Sydney are ideal for everyone. 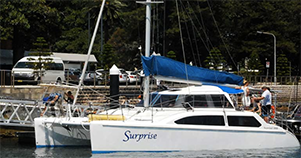 Private boat hire in Sydney Harbour is perfect for corporate functions, romantic overnight escapes for couples, special events, or private evening functions. We had such a positive experience with Go Sail. You are a very professional outfit, and we would recommend you to anyone considering a day on the water. Thanks again. Dear Peter. Our Staff appreciation day was an absolute success! Thanks so much for all of your hard work organising everything. See you again in another six months. Very professional. Well organised. We all had a great day, and we certainly will be back again.Thanks for everything. Cindy was so excited with the whole idea! We had such a lovely evening. You’ve got us thinking about getting our own boat. James was very helpful and showed us how to use everything. The weather was perfect, the food was great, the whole night was amazing. Thanks again. What a night. The sunset, the seafood, the desert, the champagne and then waking up in the morning to a view like that. WOW. We’ll be back to do it all again soon definitely.